Rachel is Director of Finance for ClearVue Partners and joined the firm in 2012. Rachel has over 13 years of finance and audit experience related with financial institutions, including SOE banks, foreign banks, funds, etc. under PRC GAAP, IFRS GAAP. Rachel is familiar with financial analysis and internal control process for various kinds of enterprises. 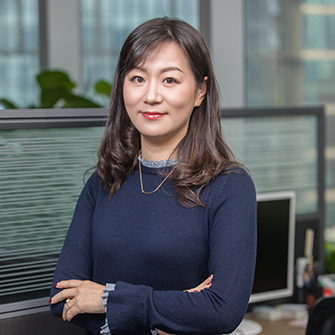 Rachel was formerly Project Manager for financial development in Bank of East Asia, and prior to that she was Audit Manager for Financial Service in KPMG Huazhen (Shanghai Office). International Trade and Economics from Shanghai Jiao Tong University.